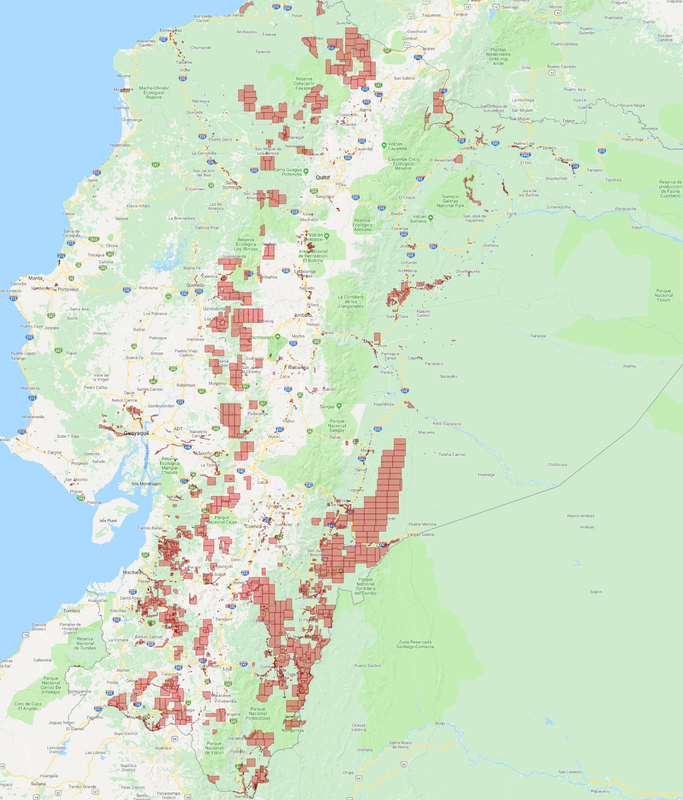 MRAG is working with the Rainforest Information Centre and a global coalition of groups and organisations to rescind nearly 2 million Ha's of mining concessions that were secretly handed out on protected forests and indigenous territories in Ecuador covering some of the most biodiverse landscapes on Earth. Some Australian mining companies have even sought to exploit this unacceptable situation by taking up leases on these new mining concession that, in some cases, cover reserves and indigenous homelands. One of the aims of MRAG is to get these Australian companies to refuse to participate in this unwarranted attack on Ecuador's indigenous cultures and reckless act of enviromental destruction. We have been using the Google Chrome web browser to translate Spanish to English and vice versa. The machine translations seem to be OK. Right click on a page and it gives you the option to translate. Chrome can be downloaded HERE. Version of this page in Spanish is HERE. La versión de esta página en español está AQUÍ. The new website of Rainforest Action Group (Melbourne) is HERE. Google Earth KMZ and KML files on this issue are HERE. 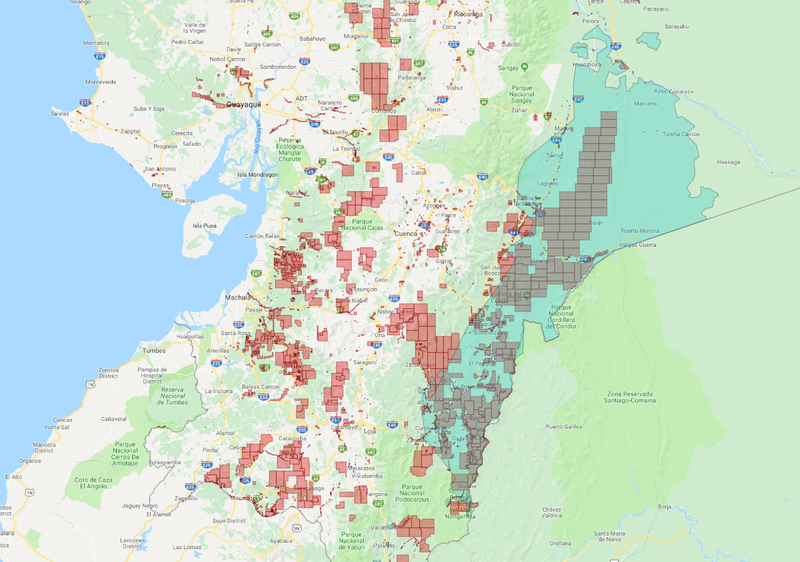 You can use these maps in conjunction with the layers in Google Earth (links below) to identify Australian company concessions that cover protected forests (bosques protecores). Newcrest also owns a 27% stake in Lundin Gold (Aurelian) These are all Lundin's concessions in the area. Solgold - Carnegie Ridge Resources S.A.
Solgold - Valle Rico Resources S.A.
Solgold - Green Rock Resources S.A.
Australian mining company Titan Minerals Ltd recently announced a merger with Canadian mining company Core Gold Inc. Titan Minerals now controls these concessions in southern Ecuador. 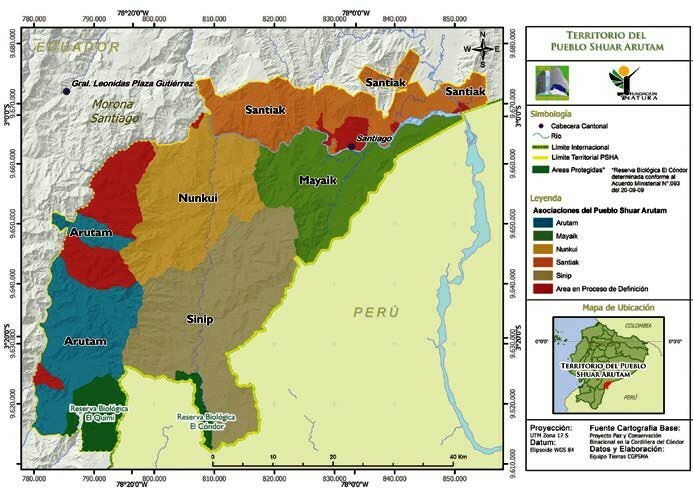 Australian company Sunstone Minerals is in a joint venture with Canadian company exploring the Bramaderos concession in southern Ecuador. Updated map (March 2019) of southern Ecuador showing all concessions that Australian companies control or have a significant interest in. 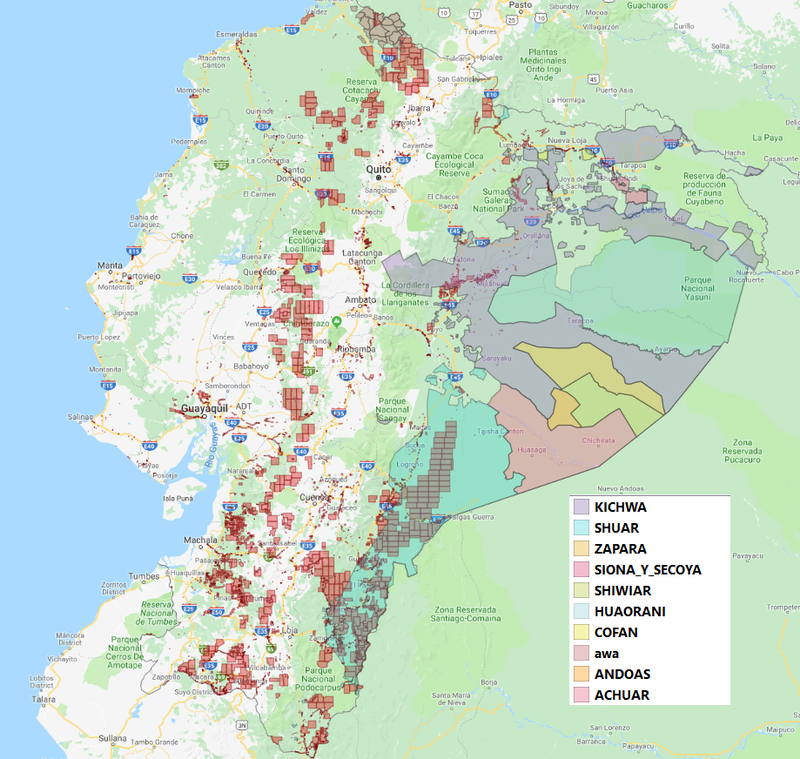 The Shuar nation, one of Ecuador's indigenous peoples, appears to be suffering the greatest burden from the new mining concessions granted by the Ecuadorean government. 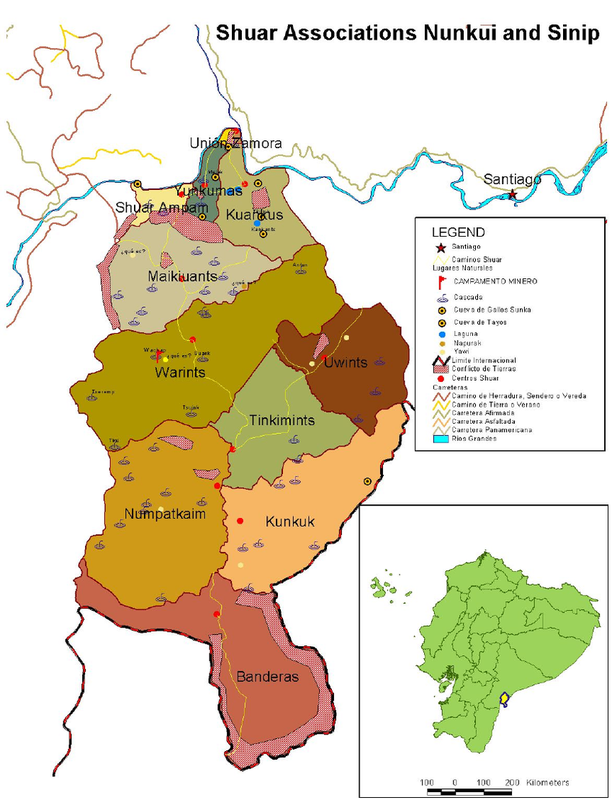 The first image shows the Shuar territories in the south east of Ecuador. 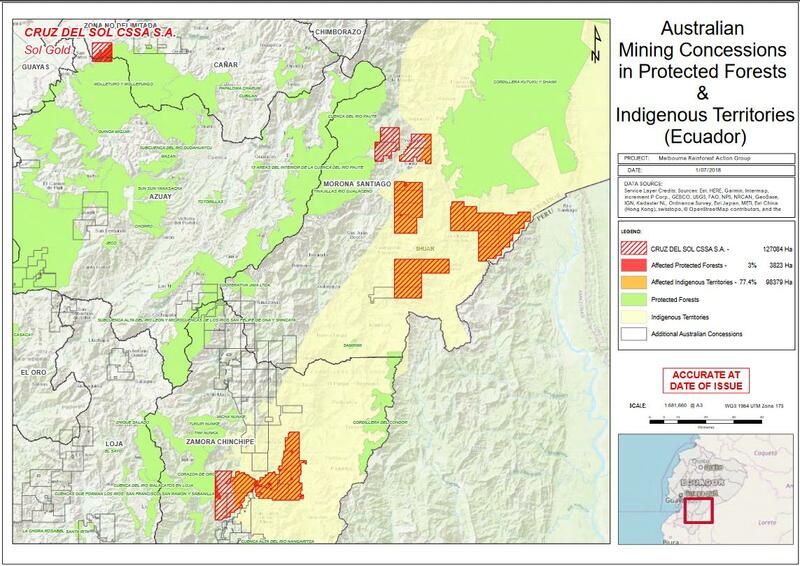 This third image shows the new mining concessions created by the Ecuadorean government. 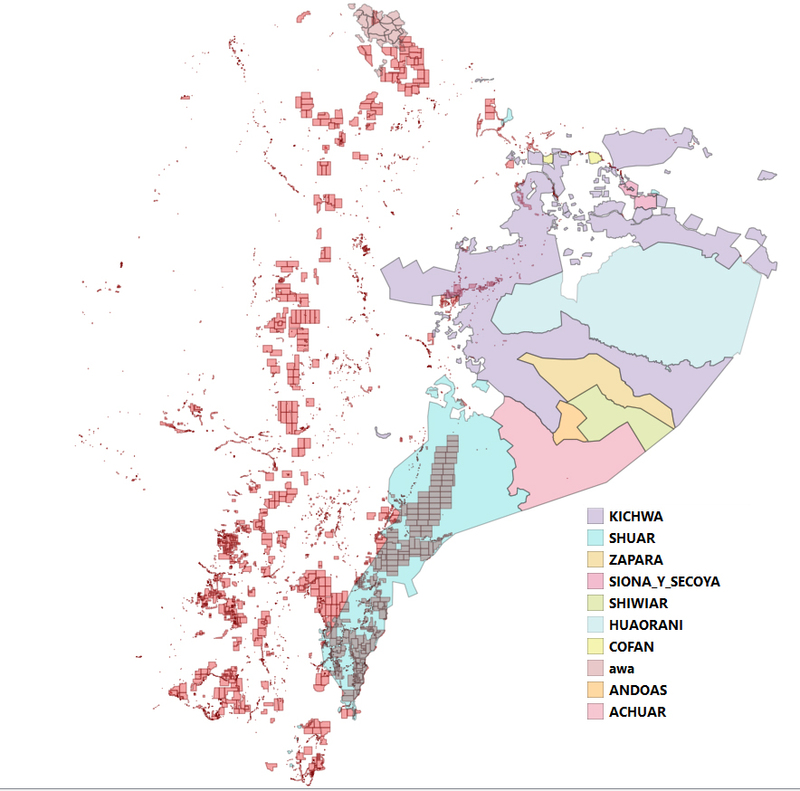 There may have been some changes to these concessions but this map is based on the most recent publicly available data. 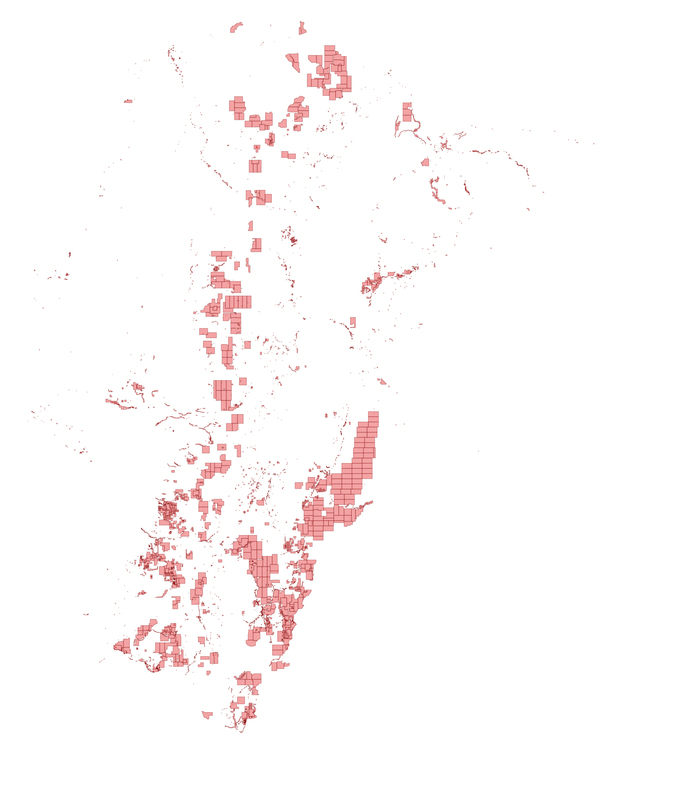 This image shows the new mining concessions overlaid on Shuar homelands. Once the layers are open in Google Earth you can click on a concession and informationo on it appears. Earthquakes in Ecuador over the past 10 years. 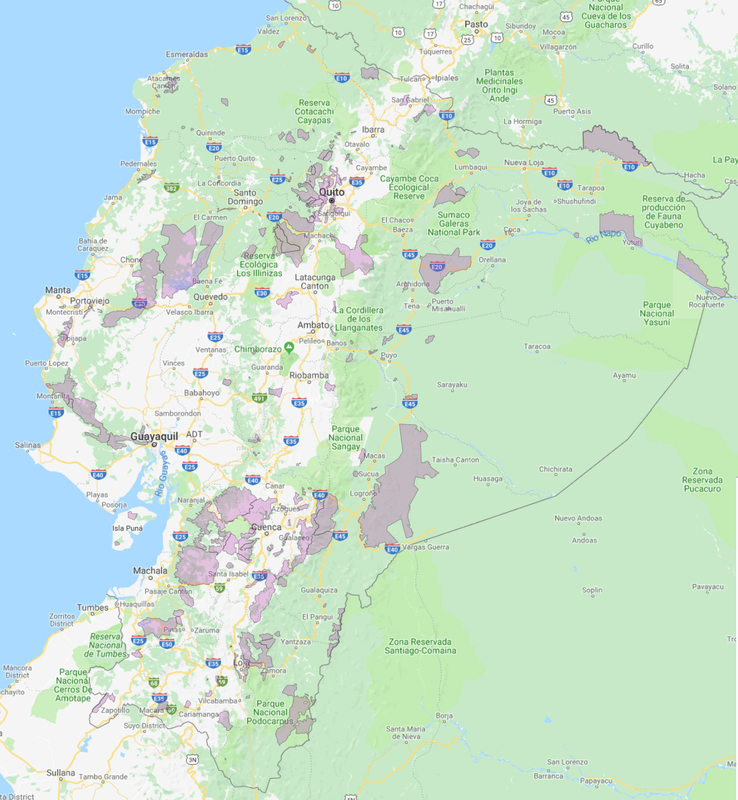 Want to get your bearings and gain a detailed picture of where exactly the 8 fold increase in mining is actually happening in Ecuador and which Protected Forests are currently under threat? 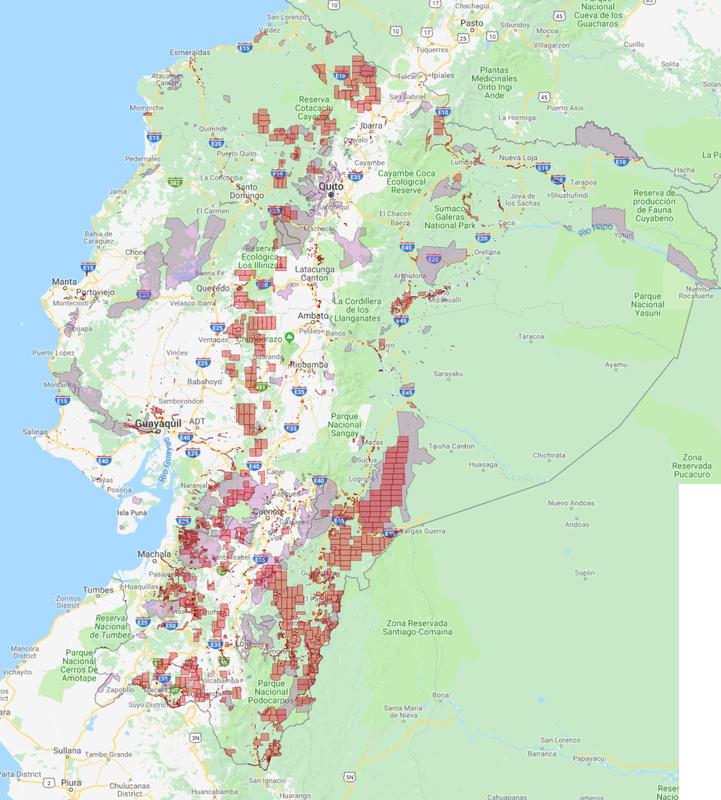 Then this interactive map will make very clear the scale of the mining threat confronting Ecuador's protected forests, (but excludes domestic water supply catchments and indigenous territories). It's in Spanish but it's not difficult to decifer using google translator (or similar program) if you don't speak the language How to read the ARCOM Map. Mas (top right corner) opens up the map layers. There are 3 layers. 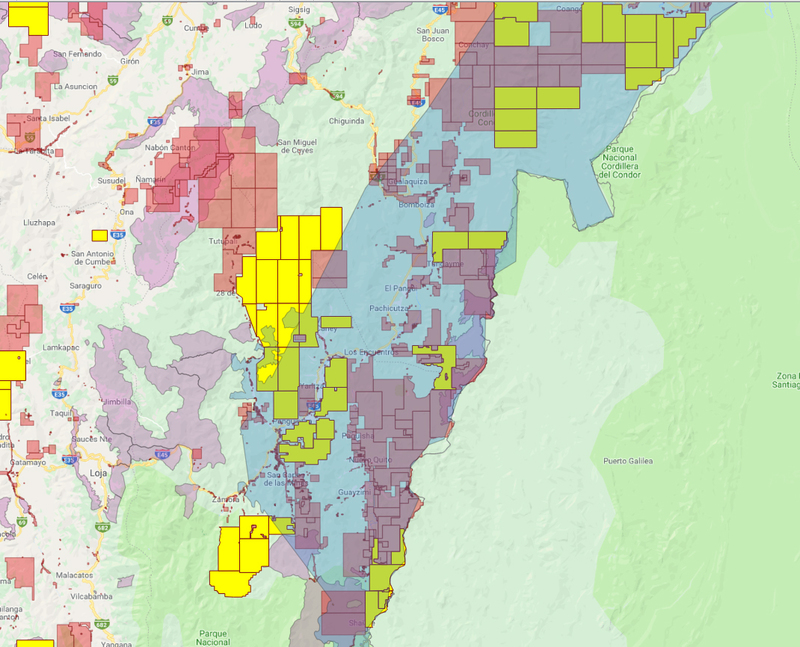 The first is the Mining layer, ignore the second and the third contains the parks, 'protected' forests and state forest layers: By clicking on the map, an attribute box will pop up listing the various data layers. "According to CDES estimates, only 17% of what the country loses due to the use of these mechanisms is due to corruption, the remaining 83% responds to tax evasion and avoidance. Tricks that by their costs and complexities can only be borne by the economic elites." The richest and most powerful in Ecuador do not like to pay taxes. That is why now, and after 10 years, the elites have a new ally: Lenín Moreno. His submission to the pressures of big capital has caused that in a year of management away from the project for which he was elected, ignore and escape the circumvention, and promote, with a bill, the return to tax laissez faire. This has been achieved with the support of mass media and questionable political alliances, through his speech on the alleged 'anti-corruption' fight. However, the "major surgery" to the State has obviated one of the major problems affecting the country: tax avoidance and evasion. Of the tax debt to the Ecuadorian State that totals 4,379 million dollars, 51% (2,228 million) corresponds to the 170 most powerful economic groups in the country, among which the 25 main ones concentrate a total of 2,005 million. These groups represent less than 1% of taxpayers. While through 512 ghost companies, which reported sales of 2,129 million dollars, the State has been harmed by 655 million between 2010 and 2016. Through methods such as false invoicing or contraband. As Juan Paz and Miño explain, in his book on the History of Taxation in Ecuador, this is nothing new and goes back to the creation of a State in the 19th century. "The concentrating social layers of economic power have always led resistance to state intervention in the economy and its leading and regulatory role in taxes," he says. The always clear objective: not to pay taxes. "We were used to ten years of a public policy that was elusive to the productive sector," said Richard Martinez in 2017, as president of the Ecuadorian Business Committee (CEE); now the new Minister of Economy and Finance. But what Martínez wanted to say is that the government of the Citizens' Revolution "accustomed" the business sector to pay just enough. With one of the most progressive tax systems in the region, the collection tripled, from 4,600 million dollars in 2006 to 14,000 million in 2016. In the same period, indirect taxes went from 65% of the total collected to that of the 53%, with a fiscal pressure that bordered on the average of the region. Now they hope to benefit from a project of remission to tax debts announced by the government, which will end up benefiting the richest. Pablo Iturralde, Director of the Center for Economic Rights (CDES), explains that around 90% of the tax expense, arising from other types of tax exemption, is directed to 10% of the highest decile. A principle that starts from an elitist, and then neoliberal, conception that has transmuted the concepts of privileges by rights. Anti-national and anti-people elites consider that they should be treated in a privileged way, different from the rest, with better and greater benefits to the detriment of society. According to a study by the Pichincha College of Economists between 2000 and 2016, an elusion of 28% was registered, that is, approximately 4.5 billion dollars that did not enter the State coffers. 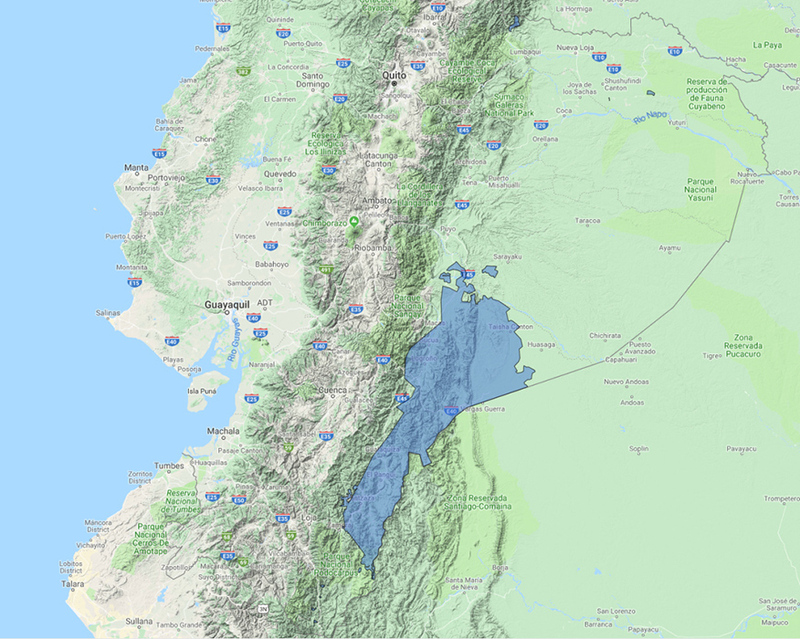 A money that could have made two hydroelectric projects similar to Coca-Codo Sinclair, 1000 schools of the Millennium or 22 hospitals of the Ecuadorian Institute of Social Security (IESS) of similar size to 'Los Ceibos'. But no, this money ended up in the pocket of those who have more and less want to give back. So, if corruption is the act of corrupting and transgressing the laws in pursuit of one's own benefit, is not tax evasion an act of corruption? Especially when this eluded money should be hidden somewhere. The tax haunts, euphemistically called paradises, are territories where these elites and transnationals deposit the money to avoid paying taxes in their own countries. Between 2014 and 2016, Ecuadorian companies took more than 4.700 million dollars to these dens. According to CDES estimates, only 17% of what the country loses due to the use of these mechanisms is due to corruption, the remaining 83% responds to tax evasion and avoidance. Tricks that by their costs and complexities can only be borne by the economic elites. "Then, really there is a very perverse game of businessmen, political leaders, media, evading taxes through frontmen, figureheads, frontmen," says Pedro Brieger, journalist and director of the news agency of Latin America and the Caribbean (Nodal). As of 2014, 59 economic groups in Ecuador owned 174 companies in tax shelters. Information that in turn was eliminated from the official SRI website, this past May 22, 2018 as reported by the Observatory of Economy and Labor. More regrettable is that until 2016, Ecuador was the world leader against these corrupt mechanisms. The Correa government proposed a proposal for the creation of an international UN agency that would provide "clear, democratic and fair rules" to end these 'paradises'. In addition, it was possible to democratically approve a Popular Consultation that prohibits public officials from having capital in these territories. But since that time, none of the anti-corruption figures have mentioned continuing this fight. And now it is these elites that promote the discourse of supposed anti-corruption and in turn make up the groups of 'notables' that dictate national ethics. That one of the results of the first year of Moreno. In turn, the current president has formed his ministerial cabinet and advisors with representatives of these economic elites and chambers of commerce to guide this process. Among those who are the Minister of Foreign Trade, Pablo Campana, son-in-law of Isabel Noboa, executive president of the Nobis Consortium; Carlos Andretta, general director of the National Customs Service of Ecuador, former director of corporate affairs at Cervecería Nacional; Raúl Ledesma, Minister of Labor, was part of the Chamber of Tourism of Guayas; Eva García, Minister of Industry and Production, went through the Chamber of Commerce of Guayaquil and the World Trade Organization (WTO); and Carlos Pérez, Minister of Hydrocarbons, was part of Halliburton. But the jewel in the crown is the new Minister of Economy and Finance. Martinez from the Ecuadorian Business Committee (CEE) represented the interests of the largest companies in Ecuador (30% of GDP). His position from this entity was neoliberal, advocating less taxes, less State and less regulation; what he summarizes as "less is more". Now he will direct Ecuador's economic policy and will have the means to do so. To culminate a year with 'gold clasp' for the business elites, on May 24 was presented the draft Organic Law for Productive Development, Attraction of Investments, Employment Generation and Stability and Fiscal Equilibrium. "Like its ideological parents, the Trole 3 Law modifies laws that address Tributes, Public-Private Partnerships, Monetary Code, Social Security of the Police, Labor Rights, Public Finances, Oil Contracts, Public Companies, Territorial Organization, Special Development Zones, Municipal Cadastres, Closed Bank Debt, Reactivation Law, among others ", explain economists and analysts of the Observatory of Dollarization. The legal body, in tax aspects, proposes the elimination of the advance to income tax, the non-payment of income tax for eight to ten years for entrepreneurs who invest in the country, the gradual elimination, since 2019, of the tax to the exit of foreign currency (ISD) and the exoneration of income tax for three years for new microenterprises. That is, tax benefits for the richest. 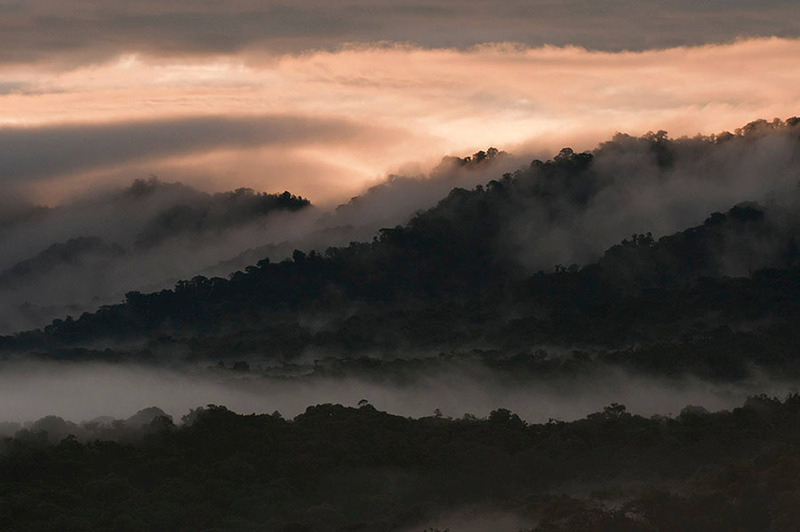 Los Cedros is a non-profit biological reserve in the Andean cloud forest of Ecuador. It is under threat from these new mining concessions/leases. Learn more... here. Los Cedros from reel-motive on Vimeo. Maps showing some of the Shuar people affected by Solgold's concessions.